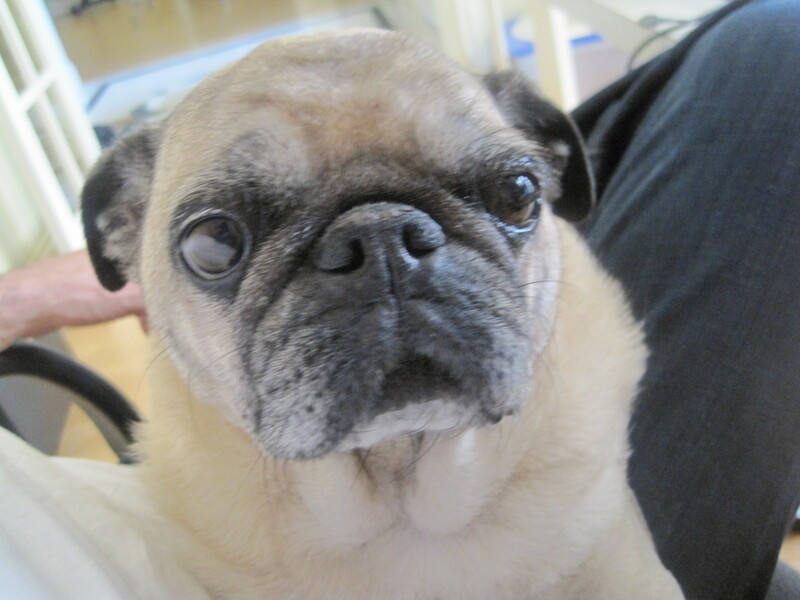 Joseph Mallozzi's Weblog: July 20, 2010: Charting Jelly’s progress! The Masked soundtrack! Last days of Atlantis II! July 20, 2010: Charting Jelly’s progress! The Masked soundtrack! Last days of Atlantis II! Not exactly spry but certainly moving a lot better. Here’s hoping there’s still more recovery to come. BTW – thanks to everyone who provided the link to the Batman pug (q.v. yesterday’s comments section). And, if you’re interested, you can pick up masked here Amazon, here B&N, here BooksAMillion, here IndieBound, and here Borders. Some progress on the script front. Who says SGU isn’t funny? 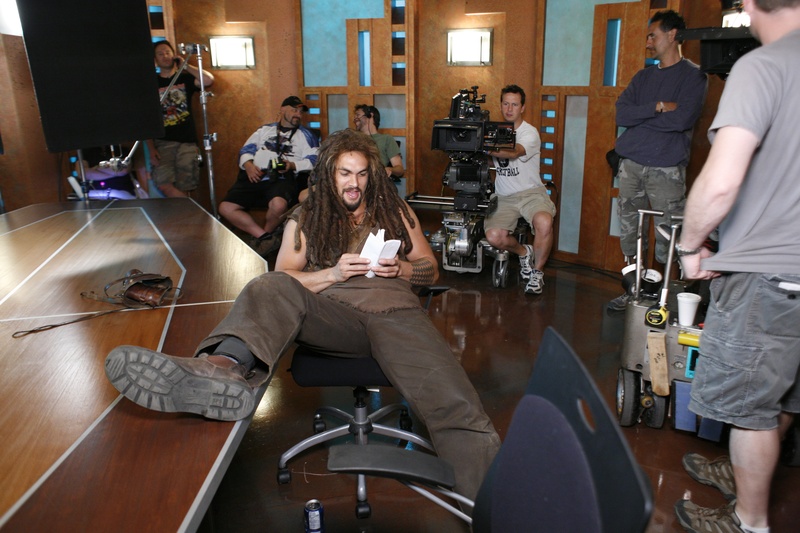 Finally, here the second half of those behind-the-scenes pics from the last days of Atlantis. All photos courtesy and copyright MGM Television. Previous Article July 19, 2010: Masked hits the street! Last days of Atlantis! Mailbag! Next Article July 21, 2010: Another chocolate tasting! Jelly shows off! 100 Science Fiction Novels Everyone Should Read – How many have you read? Solution’s tribute to Robert Cooper! Yay! Ear scratches and belly rubs for everyone – this round is on me! I hope Jelly Girl continues to improve. An extra pat on the head for you, dear old doggie dad. 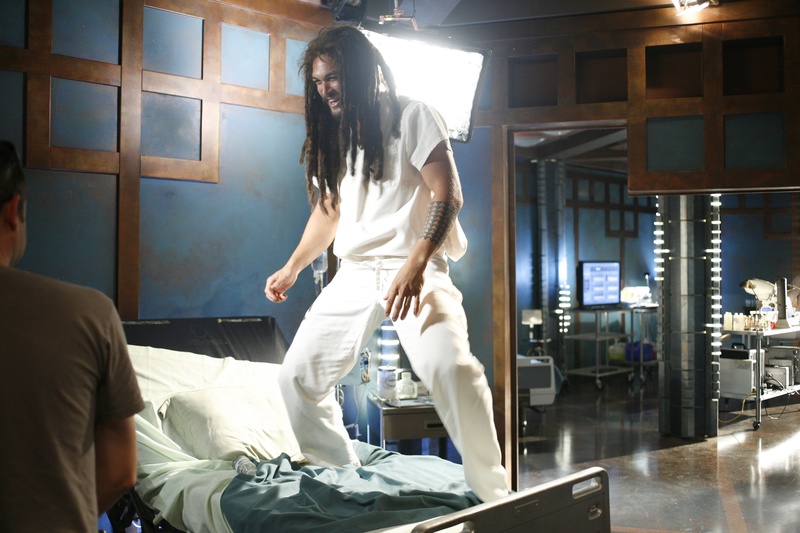 I don’t know who says SGU isn’t funny – but I gotta admit, the kino web scenes (I found them on youtube) are classic!!!! They’re not over the top, just natural and subtle, so can we see scenes like this included in the show itself? Thanks for the pics of Atlantis.. nice wig there.. I do miss SGA, especially the characters , but I do also love SGU.. so it’s not so bad. Sorry I read the title and thought you were literally drawing up a chart. That would have been cool!! Will you draw up a chart??? It could list her movements – walks with limp, jumps on bed, walks up stairs, plays with the others, scratches herself…you know and you could put crosses where she can’t do something and ticks where she can. I love a good chart. Thanks for all of the Atlantis pics…they’re super cute. I think SGU can be funny but its mostly in the KINOS as Annie pointed out. “Wait for It” aka purple dye was freaking ha-larious…who wrote that? Then TPTB went and axed the KINOS….that made me very sad….maybe there were tears, maybe not…but I wish they were back…although I guess now they won’t be the same next season. So that makes me think, will there be an overall arc in Season 3, is there one in Season 2.
p.s. how come the dogs haven’t been on Twitter, have you been hogging the laptop? Boo for no Todd pictures! Boo for me being just too tuckered out to contribute anything more! Wow! You would of thought that was Lulu running around. Look at Jelly go!!! Great to see! I placed rug runners around on slick surfaces to help my dog with traction as she got older and her arthritis got worse. Great pictures again of the Atlantis cast. Why is Joe’s chair so small? What was it like working with Jason? He looks like he has never met a stranger. How did they ever get him to settle down long enough to shoot a scene? What is the story behind that infamous wig? Where is it now and did it appear on everyone’s head at some point? Where is the picture with you wearing it? Actually accomplished a thing or two today. Not necessarily what I planned, but progress (or catching up) nonetheless. Glad to see Jelly is doing better. Hope she continues to improve. Thanks again for the Atlantis pics!!! I cannot believe how much better Jelly’s moving around, Joe! Here’s hoping the improvement continues! Incredible. Thanks for more Atlantis photos! I loved The Team one and the chairs before the Gate made me get a bit sniffly, just really miss these guys so much. Jason and Jason and Robert – too funny! Good luck with your book – sounds like people are enjoying it! San Antonio adapts SG props once again. Remember my report on flashing traffic chevron signs a while back? Well, we now have flashing stop signs, reminding me, of course, of early SG1 adventures. We’re also due to get the TSA’s full-body scanners. TOTAL RECALL, anyone? Oh and that last picture. That set was beautiful. It looks so real. Outstanding SGA pics! Thanks Joe So who has the wig now? Good to see Jelly moving a bit better. Best wishes for much more, and lasting, improvement. Thanks, thanks, and more thanks for all the SGA pictures! You’ve made my day 2 days in a row! You’re awesome Joe. I’m really so happy to hear that Jelly is doing better. Oh and Joe – I would seriously love to see a Cam/Teal’c and Sheppard/Ronon team. They would kick some serious a$$! I don’t recall who brought that up, but I’d do anything to see that happen. A SG1/SGA movie crossover would be absolute brilliance in my mind. A wonderful thank you goes out to who ever brought that team idea up and put that great image in my mind. @Chevron7 Thanks so much for the hug. I really appreciate your thoughtfulness. It made me smile. So good the Miss Jelly getting around a bit better. Hope her pain is considerably less and she improves. Nice Atlantis pics. I am missing SG-1 more and more now. Awesome Atlantis pics Joe! Wouldn’t mind a couple of those for my collection. They are fabulous! Been reminicing on my trip to Vancouver (just got back Saturday nite) and I have to aay there were sooo many great places to eat there that I am seriously contemplating moving out there (from Ontario). And I was completely wowed by the Richmond Night Market! Glad you blogged about it! Question. If we wanted to send something to any of the SGU cast, would we be able to do it and if so where could we send it to them? Hmm I am probably more than naive but I always thought that was Jason’s real hair…who knew?!! Well I guess you did Joe. That’s great news about Jelly. Lookin’ good. Yay for more SGA pics. That wig. It looks like it could move on its own. It must be heavy. I can see why Jason wanted to cut his hair though. The weight of all that hair on your head must have been giving him headaches. At least with the wig he could take it off. The Robert Picardo picture is priceless. I wonder what he’s up to now? Sorry for the second comment, just was able to watch the vid and Jelly really seems to be doing well! Someone brought this up on GW and it has me curious. Why didn’t Sheppard ever get “shipped” with anyone during the 5 years of SGA? Other than the flirtations with Larrin, Chaya, etc., he never had a real, ongoing, current relationship. Was there disagreement over who to ship him with? Or was it a desire not to tie the hero-character down to one pairing? PS. Glad to read that Jelly’s getting some benefit already from therapy. Now I’ve got Sabotage stuck in my head. Great to see Jelly’s having some fun. I’d love to see Jelly at hydrotherapy. She’d be adorable. YEAH on Jelly. Crossing fingers that the improvements continue. You done good. Woo hooo for Jelly chasing Akemi. Good sign there is improvement for her. Now to get Akemi some running shoes cause if Jelly does not chase, betcha Lulu, or Maximus will specially if she has some food offering they might want. Great Puppy Vid…thanks for that too. 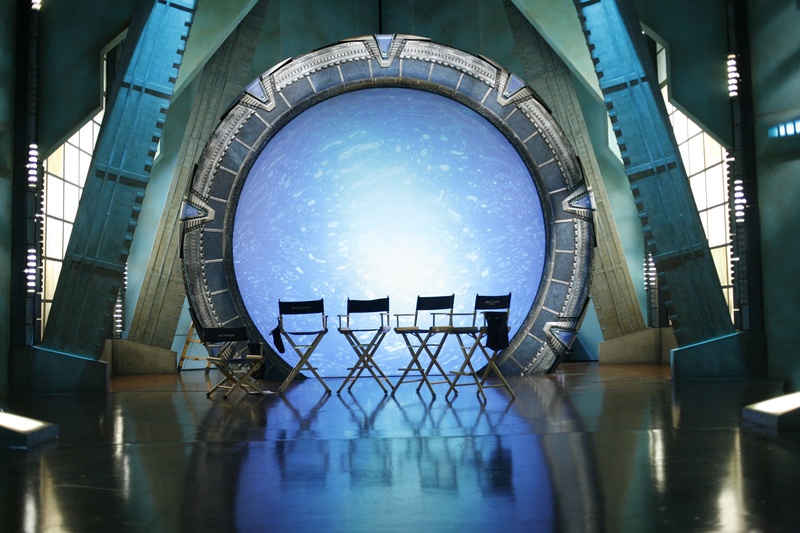 I’m not saying that SGU isn’t funny, the humor is more subtle and I like it that way… But what’s the question about? I’m scared now. Jelly looks a lot better, and I hope she keeps getting better. Again, nice Atlantis pics. 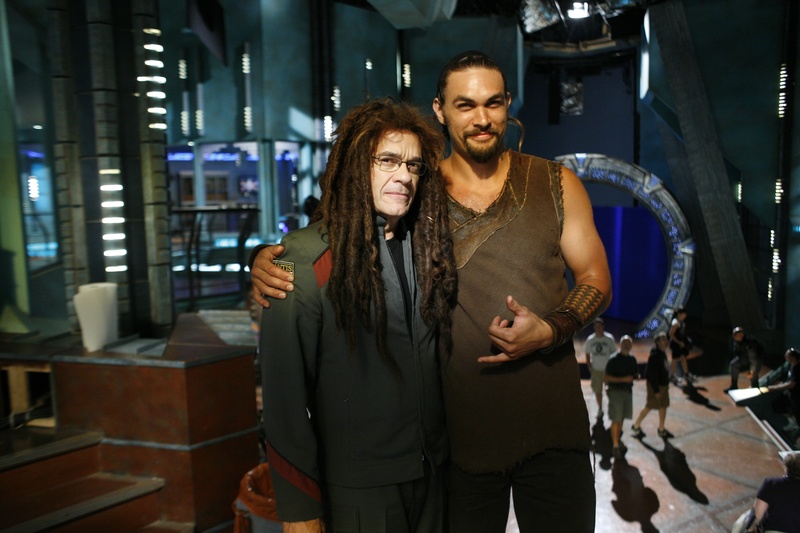 Did everyone get a chance to wear Ronon’s wig for the special occasion? Atlantis cast, “la belle époque” … I miss them.